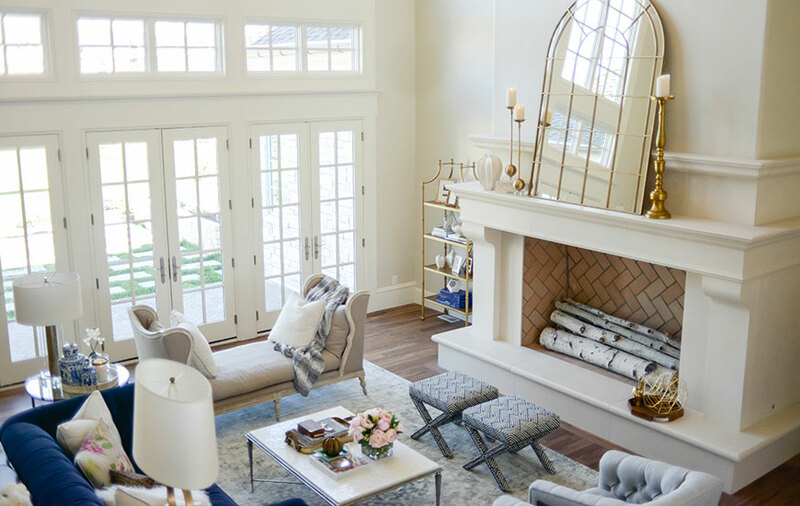 This beautiful living room design by Gatehouse No. 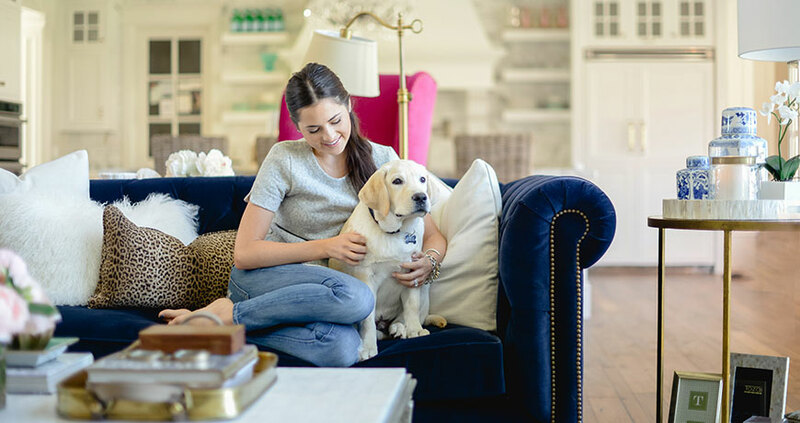 1 embodies everything that Rachel Parcell of Pink Peonies is: classic, feminine, and never overdone. 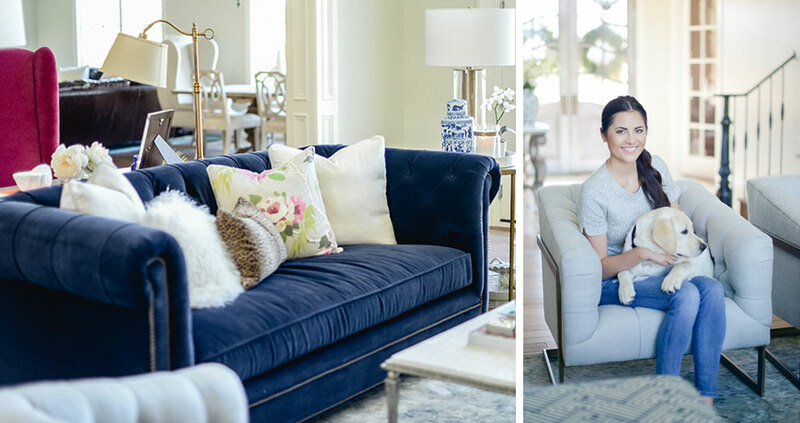 Fashionista & blogger extraordinaire, Rachel partnered up with Gatehouse No. 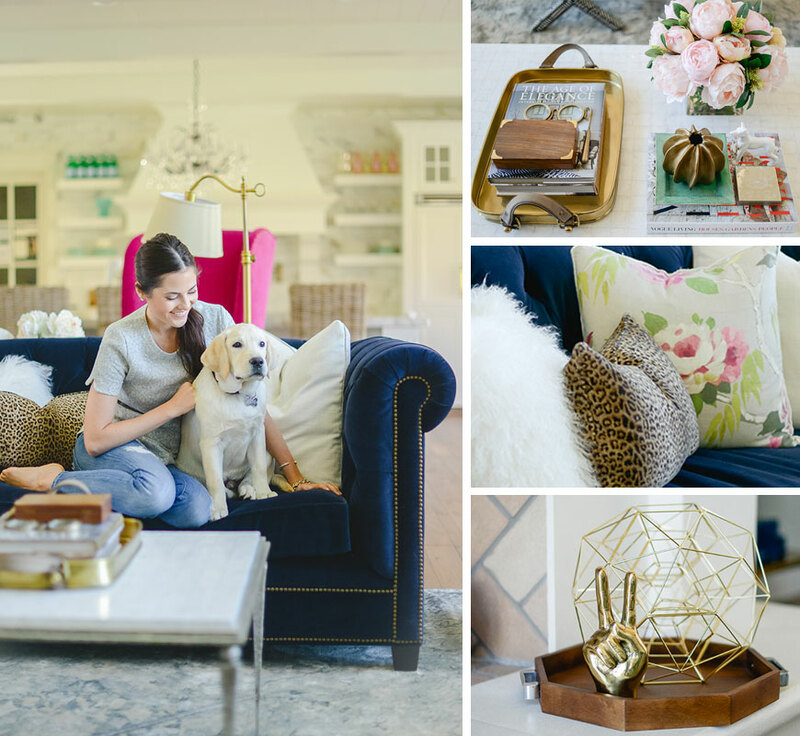 1 and Lee Industries to create the living room of her dreams…and our dreams, too! 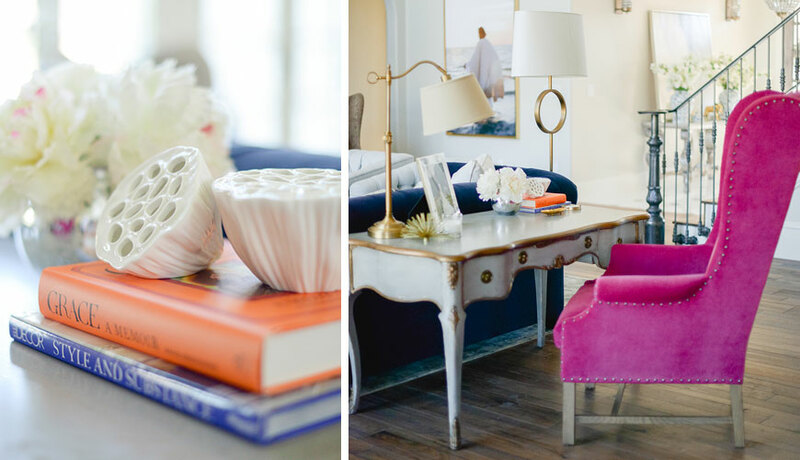 Everything about this Pink Peonies living room is beautiful. 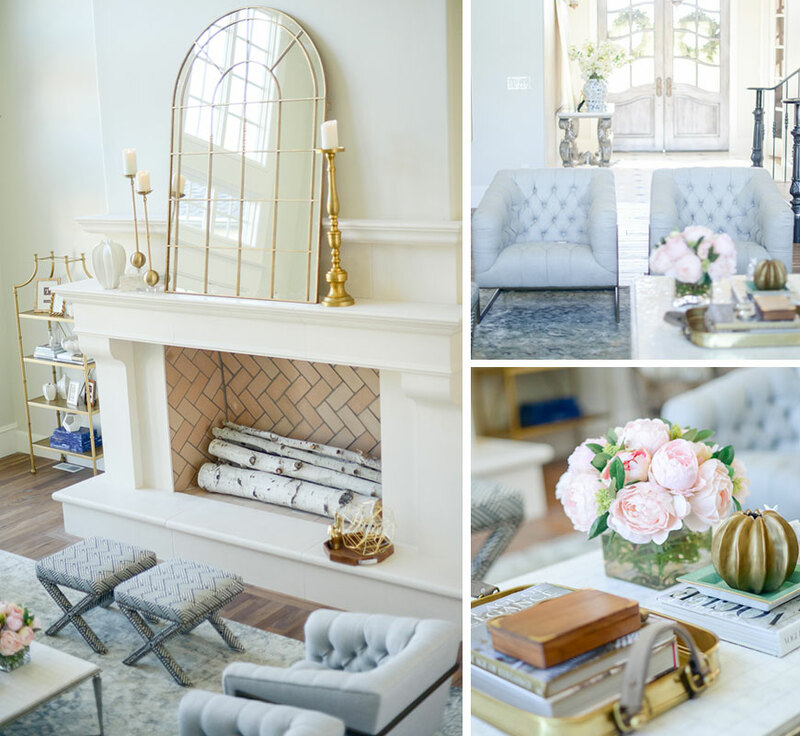 Flooded with natural light, the elegant cream space is illuminated and brightened by the pops of playful color and gold decor accents. 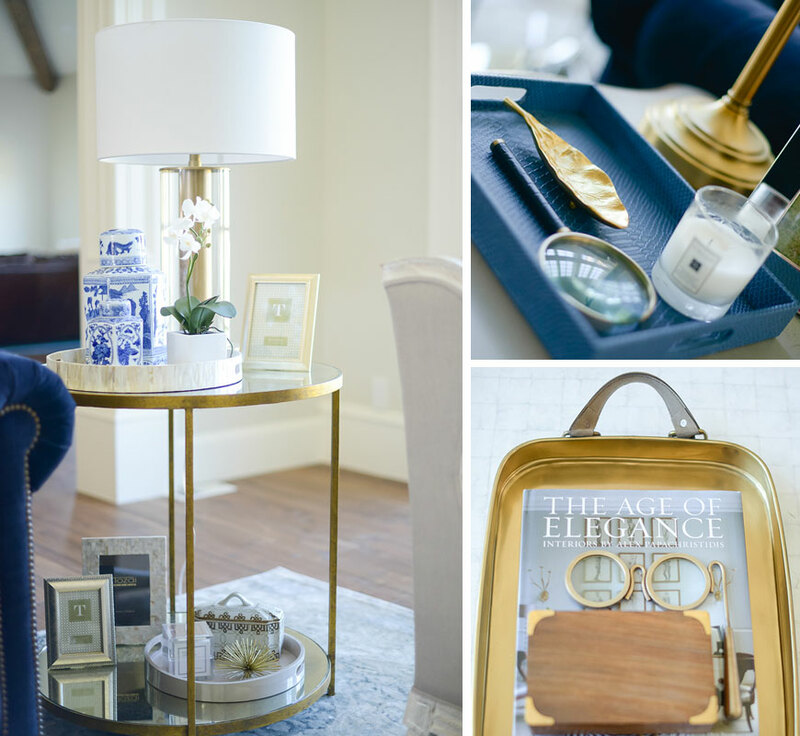 With just enough hints of glamour and classic, her living space is a spot perfect for a successful fashion blogger. 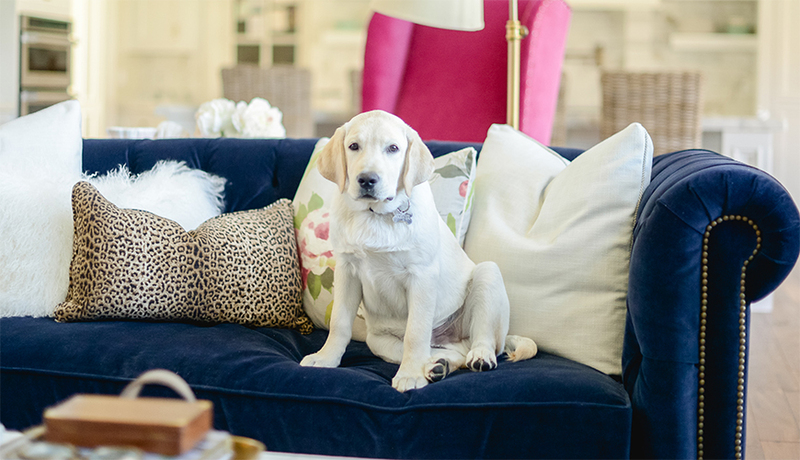 Trendy, but timeless, we love that classic pieces such as a chesterfield sofa and wingback chair were given edgy personality through the use of unconventional fabrics and prints. 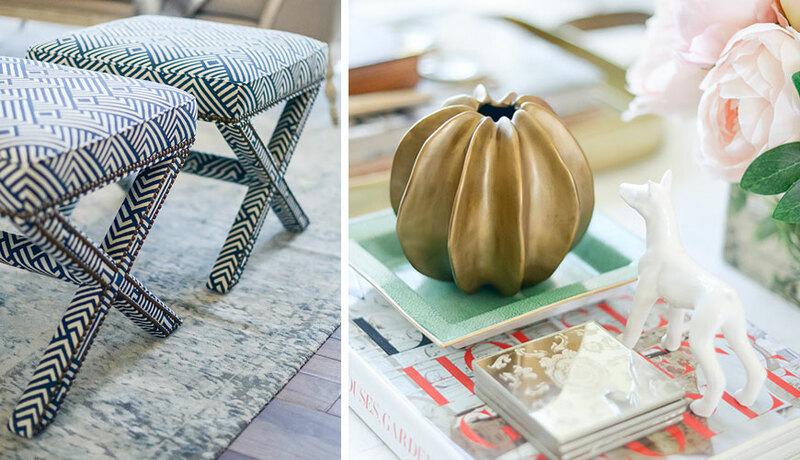 To revamp your own living space, shop the products used throughout the space, along with some of our inspired picks as well. 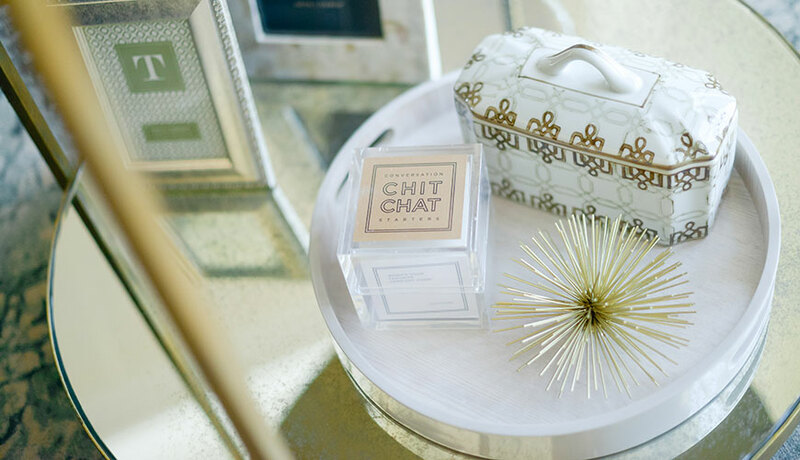 We love all of the playful details that adorn the coffee table and bookshelves. Good design and careful planning will always be the basis for any successful space, but what sets apart the good from the great is the attention to detail! 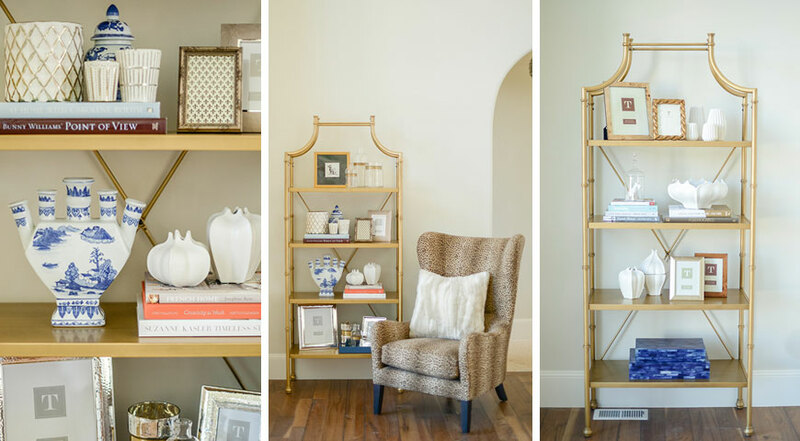 The carefully curated selections of books and small sculptural elements truly take the decor of this space to the next level. 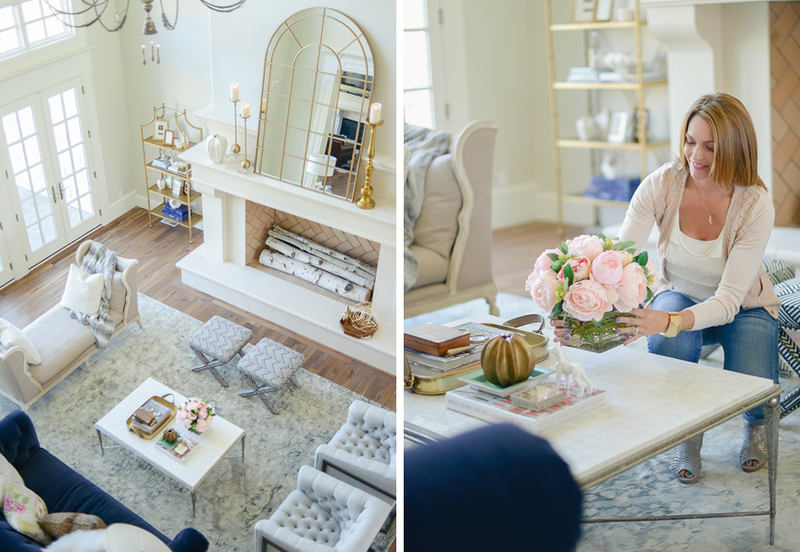 We also love that in keeping with her signature style, there is also a vase of pink peonies present, the name of the client’s blog! Gatehouse No. 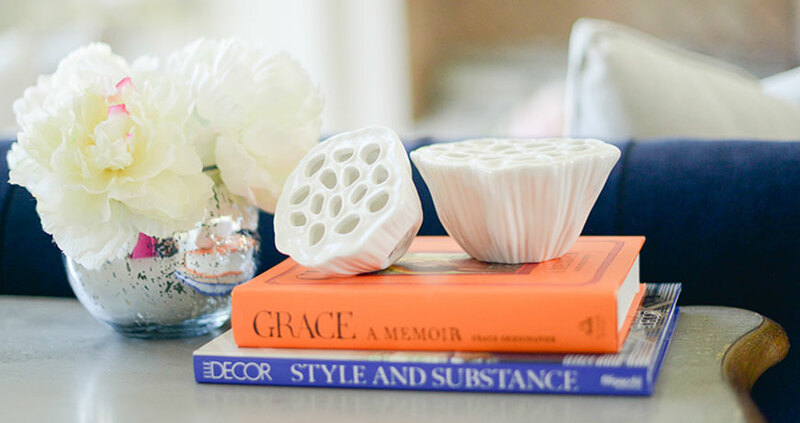 1 has established a reputation for offering innovative, high quality home furnishings representing an exceptional value. 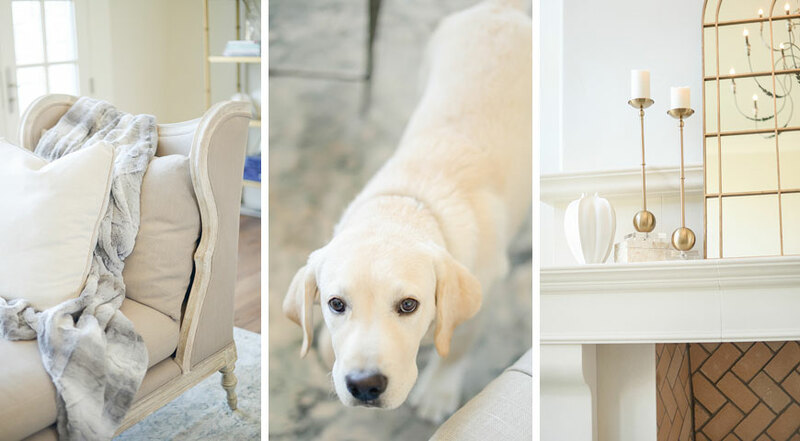 Our extensive selection combines function, style and fun, and includes: furniture, accessories, seasonal accents and more.